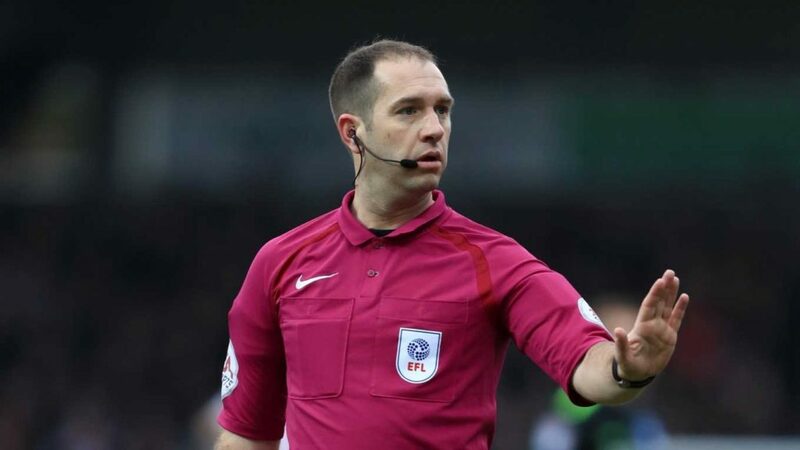 This week’s referee spotlight focuses on Jeremy Simpson, who was appointed the referee for the Nottingham Forest v Swans Championship game on Saturday, 30 March 2019. Referee Simpson was assisted by Shaun Hudson and Nigel Lugg, with Lee Collins the 4th Official for the game. Simpson started refereeing in the Football League during the 2011/12 season, when he was the match referee for Crewe’s 4-1 win over Dagenham & Redbridge in League Two. He has been a referee in the Championship since the 2012/13 season. Simpson is also a former international assistant referee (2008-2012) and has officiated in Champions League, Europa League and international games. This was only be the 2nd time that Simpson had been the referee for a Swansea City game. The only other occasion was the Swans opening day win at Sheffield United back in August 2018.